I tend to spend a great bit of time and energy hunting new sources of inspiration for my photography. I do this by looking at other people’s photos, getting feedback from and interacting with my peers, or participating in challenges. The easiest way to find inspiration is to simply add a new LEGO set, minifigure, or accessory to my collection. This usually leads to at least one new photo, or I get lucky and it opens up a whole new series for me to dive into. That’s exactly what happened when I got my hands on Ant-Man. I liked the Ant-Man film that came out in 2015, but not enough to buy its licensed tie-in LEGO set upon release. It wasn’t until our friends @Krash_Override and @DoctorNvrmore launched the #jANTMANuary contest on Instagram earlier this year that I finally felt compelled to add the bite-sized Avenger to my collection, and boy am I glad that I did! 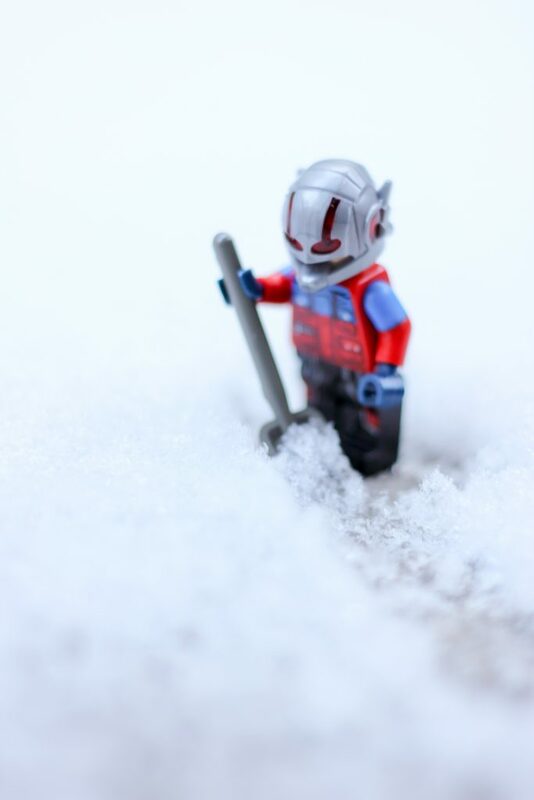 Since January, Ant-Man has quickly become one of my favorite LEGO minifigures, and has actually opened my mind to a whole new perspective for my photography. 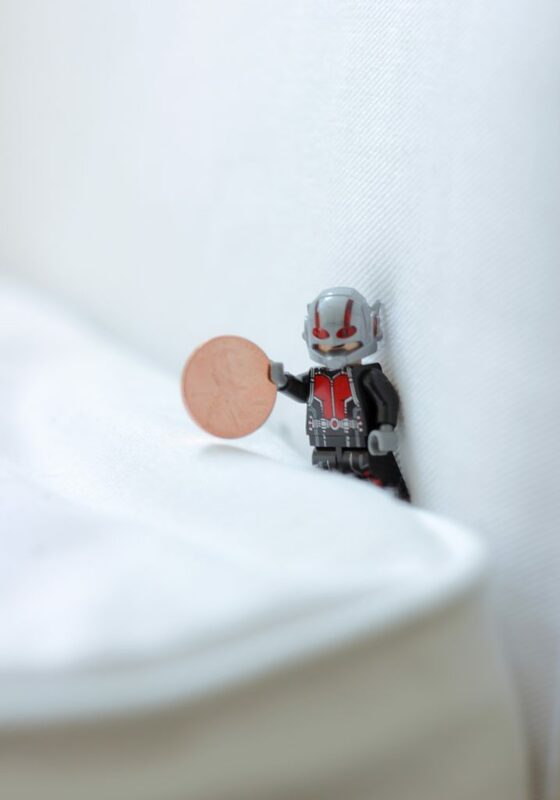 Not only is he fun to photograph, but Ant-Man is super helpful in finding change between my couch cushions! Part of the fun of taking toy photos is that you get to play around with scale. I spend a lot of time looking at the world more closely and imagining how normal, everyday objects might look next to my 4-centimeter subjects. Ant-Man makes me think outside the box, because his scale is inherently different than his fellow Avengers. Ant-Man is supposed to look small, which means that I’m not necessarily trying to skew the objects around him or play around with forced perspective. Because of who he is as a character, that part’s already done for me! I’m simply placing him in the real world and seeing what kind of adventures the little guy can go on. This has been incredibly freeing, and has allowed me to shoot on the fly if need be. Rather than build sets and backgrounds to complete my photographs or scale things down to fit my needs, I can lean on a shrinking superhero instead and utilize the real world around me as-is. Now I’m looking at the world, and at my photography, from a new angle. Has a particular photographic subject allowed you to approach your photography in a new way? Let us know in the comments! If you enjoy posts like this, we invite you to join our G+ community. Don’t forget to subscribe to the blog to get notified when we have a new post ready for you. Just a grown up kid still obsessed with Star Wars, superheroes, and toys. Great post mate! I usually battle with the environment to make it “match” my toys. But your Antman is perfect for embracing the disproportionate scale of things I usually walk away from, cursing! Maybe I need him too? Not just to open up more photo opportunities, but to save me throwing coins into the swear jar. 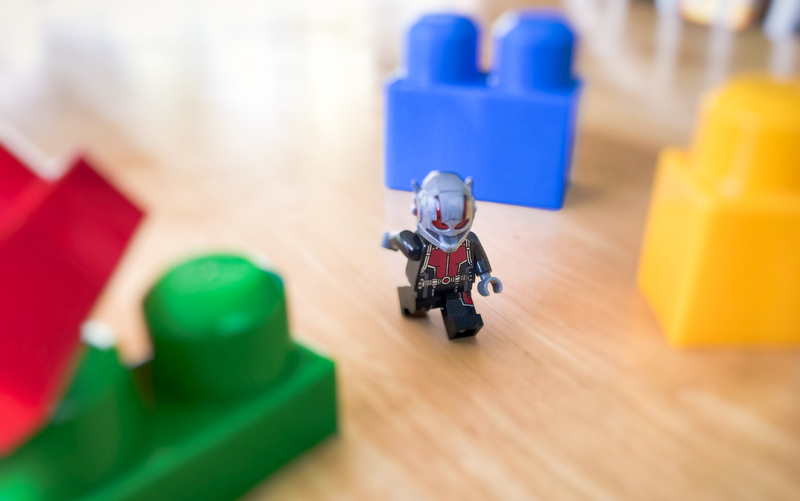 How wonderful that you added antman to your collection because you’ve made some amazing photos with him. Inspiration can come in such a huge variety of ways, but new subjects are definitely an awesome way to get those creative juices flowing. Janan on It’s a wrap!